From artists to web designers, people involved in the creative industries across the East Midlands gathered at Nottingham Contemporary to network and learn more about co-operation. 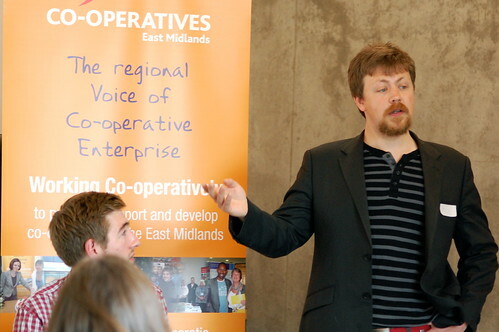 Creative Co-operatives was organised by Co-operatives East Midlands, a group that supports and promotes the movement in the region. It was a chance for creative organisations to learn more about the co-operative business model, and for existing co-operatives to share ideas and best practice. 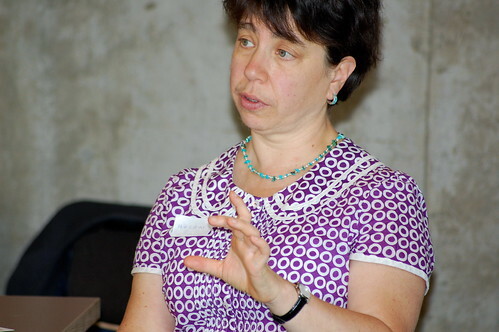 Setting the scene, Dorothy Francis from Leicestershire’s Co-operative and Social Enterprise Development Agency described how well suited the business model was for creative organisations. She highlighted the work of Knighton Lane Artists Group, which provides studio space for artists; Excluded, a music production company that works with disadvantaged people, and had recently helped a homeless musician make a CD of his music; Palace Arts in Ibstock, where people had formed a co-operative to buy an art deco cinema, and were now hiring the space as a music, theatre, community and conference venue as a co-operative; and Gold Events, an events management company that stage managed this year’s Braunstone Carnival. Networkers also heard from three co-operators involved in the running of successful creative co-ops. Helen Pearson from Soft Touch, which works with disadvantaged young people through participatory arts, told how the co-operative had been formed 25 years ago by four people pooling their Enterprise Allowance Scheme grants. Today the co-operative employs 14 people and works with 1,200 young people. It owns premises as well as two mobile studios, and last year turned over half a million pounds. Ed Russell of Co-operative Web spoke of the company’s five year journey from four founder members to 21 employees, all of whom have an equal say in the running of the £1million turnover business. And Paul Smith from Surface Gallery in Nottingham talked about his eight-person co-operative which hires low-cost gallery space to early- and mid-career professional artists. Recently, he said, the gallery had started operating gallery tours for the deaf, with the aid of a sign language practitioner. Dorothy said that although there are many different kinds of co-operative – from those owned by its workers to those owned by its customers, or by the community – they all shared the same values, principles and ethos. 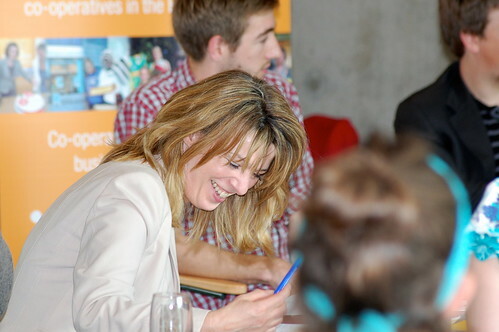 Creative Co-operatives was run on Thursday, July 7 as part of Co-operatives Fortnight, which ran from June 25 to July 9. Delegates agreed it would not be the last meeting of the group, and intend to continue networking face-to-face and online. 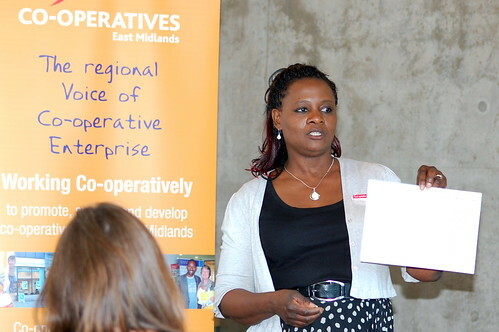 Business advice, grants and loans are available to new co-operatives through the Co-operative Enterprise Hub.